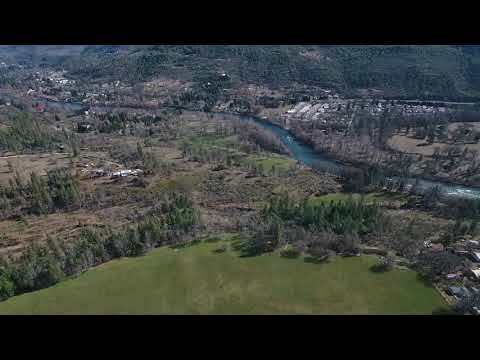 This Rogue River Dr. Ranch is a must see! Situated on over 165 acres (122+/- irrigated), this waterfront estate property has numerous opportunity and uses for the discerning buyer or savvy investor. Located on the brink of Shady Cove with 140 of these acres bordering the city's Urban Growth Boundary, this property is prime for development, destination resort, or to simply continue the rich ranching history that has taken place here for decades. Several zoning exist here including EFU, OSR, and RR5 which allows for several homesites. The famous Rogue River fronts the property with over 600 feet, along with 3700 feet of Long Branch Creek. The resident Elk herd and deer population along with the salmon and steelhead fishing holes makes this a dream property for the outdoors-man. Shady Cove is a hot spot recreation area throughout the fishing season and summer rafting. Other close areas of interest include Lost Creek Lake, Diamond Lake and Crater Lake, all within 45 minutes away. I found this listing at Rogue River Drive Ranch, Shady Cove in Eagle Point and would like more information. Thank you.